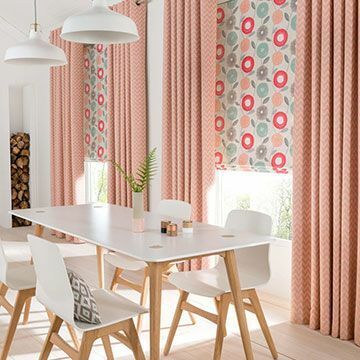 Frame your dining room windows beautifully with made-to-measure curtains. Whether you prefer plains or patterns, our collection has you covered. 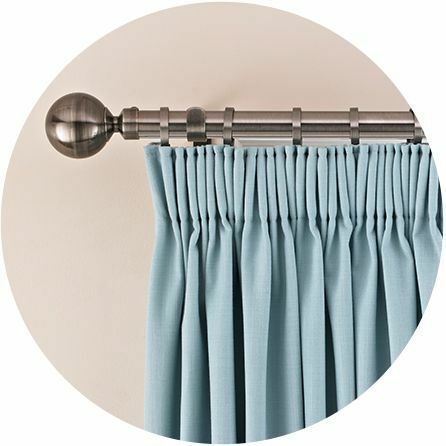 Our made-to-measure dining room curtains create a show-stopping finish at the window. Good food and good conversation are a must and framing your windows beautifully will help to create that cosy family feeling. Bold designs and striking shades will steal the show, while our selection of plains and neutrals are ideal for laidback style. With so many fabrics to choose from, there really is something for every space. Let the in-home experts take care of everything. 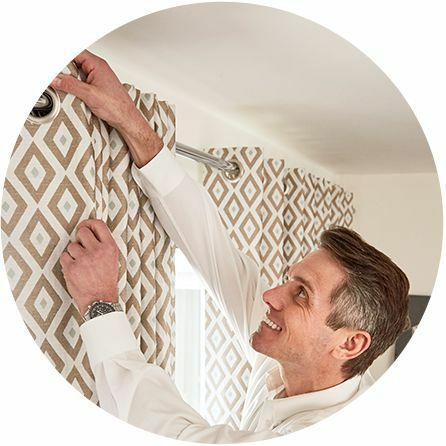 When you book a home appointment with Hillarys, your local advisor will offer you plenty of practical advice and show you our extensive curtains range. You’ll love browsing your favourite fabrics in the comfort of your own home. As well as giving you loads of design tips and practical advice, your advisor will carefully measure up and leave you a quote to consider. If you like having it all taken care of, then you’ll love our bespoke service. Your dining room is unique, and your dining room curtains will be too. That’s because made-to-measure means choosing every detail – from the fabric to the accessories. We even have tracks and poles for tricky-to-dress windows like bays.